Did you just try to access your WordPress site only to be hit by some message telling you something is “Forbidden” or that you don’t have permission to access something on your site? If so, you’ve likely run into the 403 Forbidden error on WordPress. Seeing an error on your WordPress site can be frustrating and deflating, which is why we’ve created this detailed guide to help you fix the 403 Forbidden Error on WordPress and get your site functioning again as quickly as possible. Let’s get started without any further introduction because we’re sure you just want to fix your site! What is the 403 Forbidden Error? Like many other common WordPress errors, the 403 Forbidden error is an HTTP status code that a web server uses to communicate with your web browser. Quick background on HTTP status codes – whenever you connect to a website with your browser, the web server responds with something called an HTTP header. Usually, this all happens behind the scenes because everything is working normally (that’s a 200 status code, in case you were wondering). However, if something goes wrong, the server will respond back with a different numbered HTTP status code. While these numbers are frustrating to encounter, they’re actually quite important because they help you diagnose exactly what’s going wrong on your site. The 403 Forbidden error means that your web server understands the request that the client (i.e. your browser) is making, but the server will not fulfill it. In more human-friendly terms, it basically means that your server knows exactly what you want to do, it just won’t let you do it because you don’t have the proper permissions for some reason. It’s kind of like you’re trying to get into a private event, but your name got accidentally removed from the guest list for some reason. Other HTTP status codes mean different things. We’ve written guides on fixing issues with 404 not found errors, 500 internal server errors, 502 bad gateway errors, and 504 gateway timeout errors. What Causes the 403 Forbidden Error on WordPress? It’s also possible that you’re seeing the error because of an issue with a plugin that you’re using at your site. In this article, we’ll show you how to troubleshoot all of these potential issues. Like many other HTTP status codes, there are a lot of different variations for how this error code presents itself. Basically, if you see any mention of “forbidden” or “not allowed to access”, you’re probably dealing with a 403 Forbidden error. 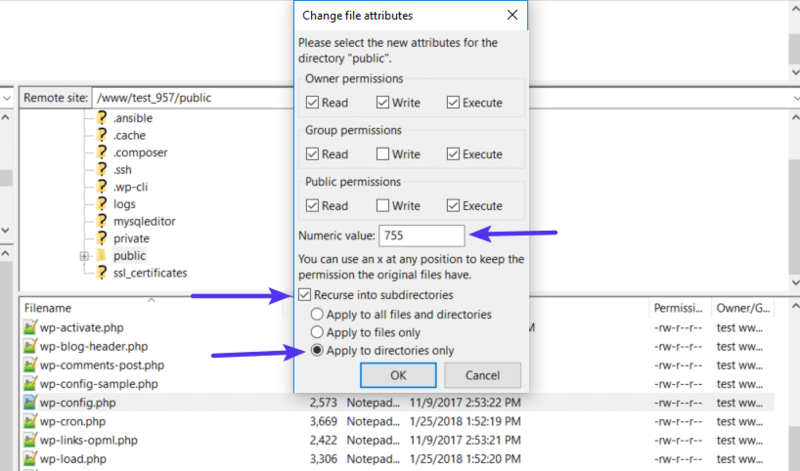 Read – see the data in the file/view the contents of a folder. 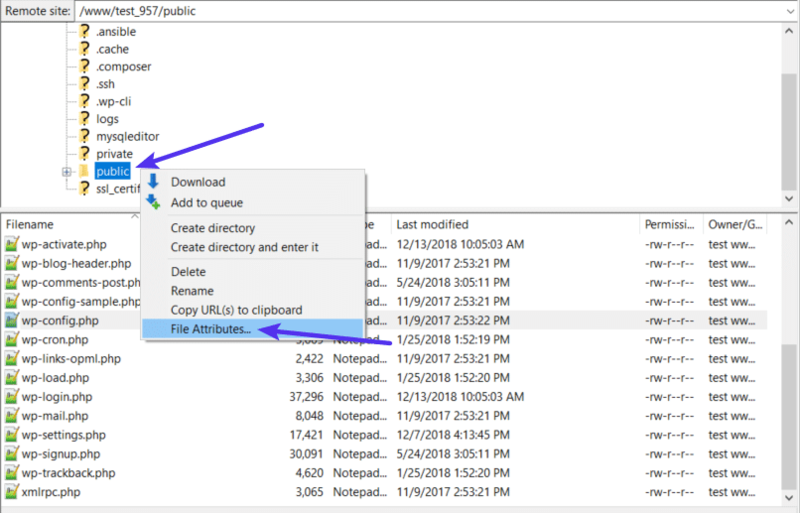 Execute – run the file and/or execute it as a script/access a folder and perform functions and commands. 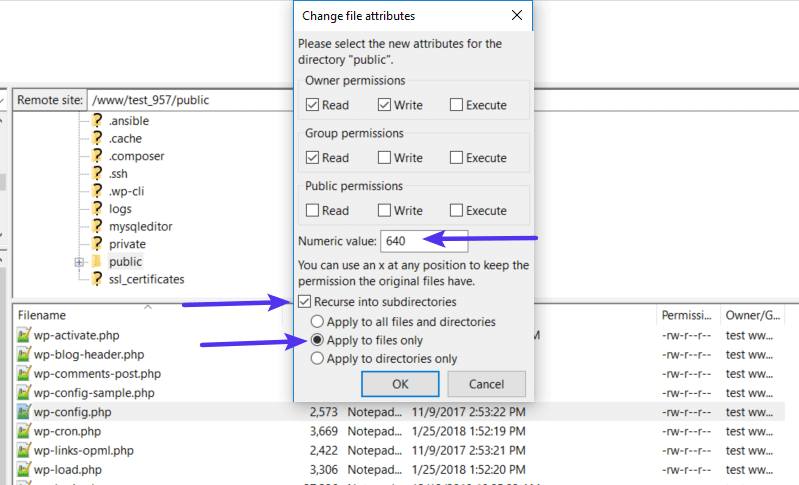 These permissions are indicated by a 3-digit number, with each digit indicating the level of permission for each of the 3 categories above. Normally, these permissions just “work” for your WordPress site. However, if something gets messed up with the file permissions at your WordPress site, it can cause the 403 Forbidden error. 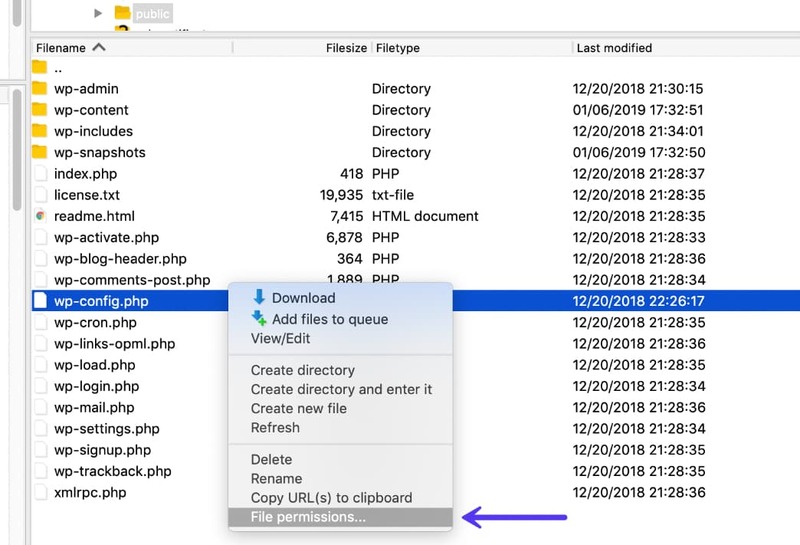 To view and modify your site’s file permissions, you’ll need to connect via FTP/SFTP. Here’s how to use SFTP if you’re hosting at Kinsta. 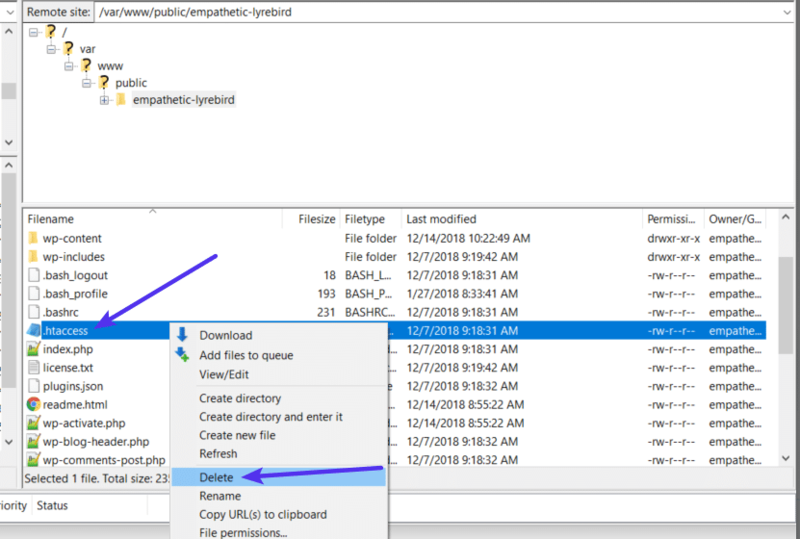 For the screenshots in the tutorial below, we’ll be using the free FileZilla FTP program. The basic principles will apply to any FTP program, though – you’ll just need to apply them to a different interface. One exception is that your wp-config.php file should be 440 or 400. If file permissions issues were causing the 403 Forbidden Error, your site should now start working again. Kinsta uses the NGINX web server, so this potential issue doesn’t apply if you’re hosting your site at Kinsta because Kinsta sites do not have a .htaccess file. 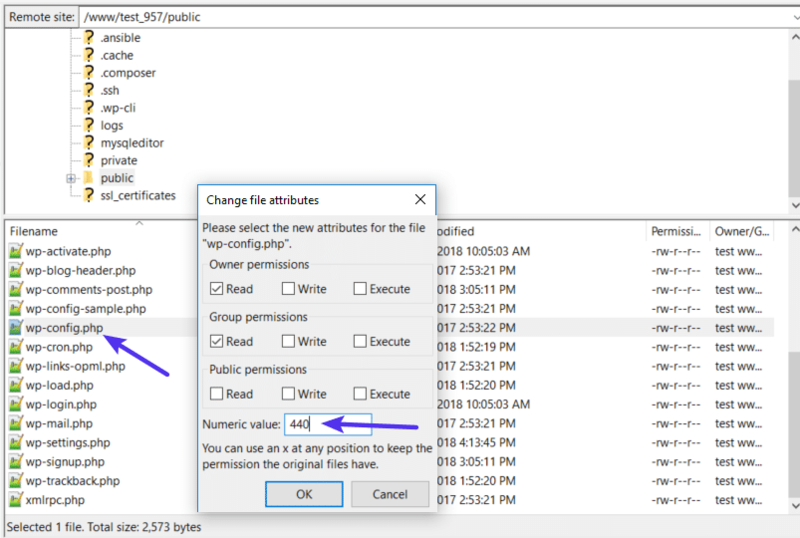 However, if you’re hosting elsewhere and your host uses the Apache web server, one common cause of the 403 Forbidden error is a problem in your site’s .htaccess file. The .htaccess file is a basic configuration file used by the Apache web server. You can use it to set up redirects, restrict access to all or some of your site, etc. Because it’s so powerful, even if a little mistake can cause a big issue, like the 403 Forbidden error. Rather than trying to troubleshoot the .htaccess file itself, a simpler solution is to just force WordPress to generate a new, clean .htaccess file. Now, you should be able to access your WordPress site if your .htaccess file was the issue. And that’s it – WordPress will now generate a new .htaccess file for you. If neither your site’s file permissions nor .htaccess file are the problems, the next place to look is your plugins. It could be a bug in a plugin or a compatibility issue between different plugins. No matter what the issue is, the easiest way to find the problematic plugin is with a little trial and error. Specifically, you’ll need to deactivate all of your plugins and then reactivate them one by one until you find the culprit. 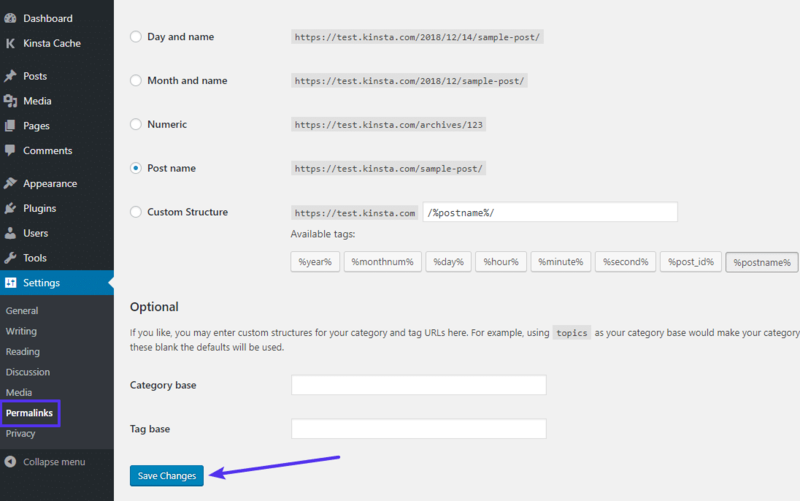 If you can still access your WordPress dashboard, you can perform this process from the normal Plugins area. If you cannot access your WordPress dashboard, you’ll instead need to connect to your WordPress site’s server via FTP/SFTP (here’s how to connect via SFTP at Kinsta). Change the name of the folder. You can name it anything different, but we recommend something like plugins-disabled to make it easy to remember. By renaming the folder, you’ve effectively disabled all the plugins at your site. Now, try accessing your site again. If your site is working, you know that one of your plugins is causing the 403 Forbidden error. To find the culprit, reactivate your plugins one-by-one until you find which plugin is causing the issue. To fix this issue and regain the ability to manage your plugins, use your FTP program to change the name of the folder back to plugins. So, if you renamed it to plugins-disabled, just change it back to plugins. Use the Activate button to reactivate them one-by-one. Once you find the plugin that’s causing the issue, you can either reach out to the plugin’s developer for help or choose an alternate plugin that accomplishes the same thing (we’ve collected the best WordPress plugins here). The 403 Forbidden error means that your server is working, but you no longer have permission to view all or some of your site for some reason. The two most likely causes of this error are issues with your WordPress site’s file permissions or .htaccess file. Beyond that, some plugin issues might also cause the 403 Forbidden error. By following the troubleshooting steps in this guide, you should be able to get your site back to working in no time. The post How to Fix a 403 Forbidden Error on Your WordPress Site appeared first on Kinsta Managed WordPress Hosting.